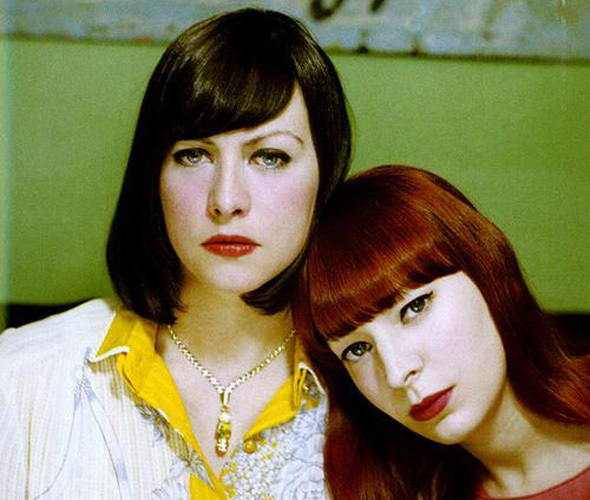 Camera Obscura’s breakthrough Let’s Get Out of This Country was released ten years ago this June. Had I known of the record at the time, it would likely have been relegated to the category of guilty pleasure: something to be listened to but not shared; something enjoyable but not worthy. Rock music, especially after a nineties-alt makeover, was still seen as one of the few genres worthy of critical seriousness. Let’s Get Out of This Country was a hybrid pop record low on existential angst, with a penchant for cute sentimentality in place of masculine affect. If pluralistic, omnivorous fandom (what Hal Foster argues is a relativistic and undiscerning post-critical outlook in Bad New Days) has become such the norm, then why the discomfort at admitting that I have a soft spot for “Dory Previn” or “Country Mile”? After all, the subculture of self-proclaimed, music-listening elites is fully onboard, for instance, with Taylor Swift’s 1989 and its surface-level lyricism, its teenage angst and subordination to hook, flash, and production value. We accept, with 1989, that it is a record crafted out of conscious awareness of its commercial and popular appeal; moreover, that the qualities it chooses to prioritize like “listenability” or accessibility are of equal, if different, value as abstract priorities like “authenticity of affect” or “listener-challenge.” Why then, when these same characteristics (both short-comings and strengths) are identified in Camera Obscura’s records, do we shun them for it? Twee as a subgenre of pop is distinct enough from non-twee pop so as to miss out on the wave of recent, pop-embracing pluralism. There is inherently cynical and self-aware quality in Billboard-chartered records, regardless of lyrical subject matter: whereas twee believes in some lost innocence or honesty of youth (culturally and personally), and hopes to channel some of that virtue by replicating youth’s aesthetic trappings, Billboard-pop has long given up on believing in these qualities. Theirs instead is the music of capitalism and cogs, of conscious artificiality and inherent plasticness (most prominently autotune, arpeggiators, the entire studio process, and an army of third-party songwriters). Corporate pop factories and their artists hold no illusions about this, certainly not to the degree that banjo-picking or fifties-prom-throwback twee acts traditionally might. There is a sort of postmodern baring of phoniness in corporate pop which brings with it its own brand of transparent honesty. If this is the distinguishing factor which excludes Obscura from poptimist re-evaluation, the argument would be that the music-listening elite in 2016 is no less cynical than in the past — holds no less interest in shunning the bright-eyed as foggy-eyed and the naive as delusional, intellectual lessers. Rather, poptimism’s paradigm shift lies in a changing and expanded idea of what constitutes cynicism and transparency, a definition that today includes Billboard big-hitters but not necessarily the child-like twee-pop of C.O. None of this fully works in explaining the phenomenon of Camera Obscura though. Twee acts aren’t the only ones who fall into a weird dead-zone of exception from poptimism’s blanket protection plan, nor is this zone limited to folk acts peddling a similarly bushy-tailed narrative. The pop-leaning Brit rock of the Arctic Monkeys, to name one example, falls into this area (whose rough heuristic is “acts that I’m not fully comfortable vocalizing support for, but would argue have defensible qualities”), as does the music of The Killers and Coldplay. Meanwhile, plenty of nostalgic acts which believe (somewhat similar to twee’s fetishization of youth) in some lost cultural honesty of the 1960s or 70s aren’t themselves subject to the same judgments of being naive-and-therefore-bad. If cynicism vs. naiveté plays a role in poptimists’ taste judgments, it’s not the entire story. Camera Obscura, then, and the many bands which fall within its inner-ring deadzone of support, are a casualty of mixing genre and ambiguous social signals. Let’s Get Out of This Country is certainly pop music, with musical characteristics and fortes of the type embraced by poptimists, but it’s also sufficiently “indie” — a Brooklyn act starting on a smaller label, working with largely acoustic instruments — to be embraced by the Williamsburg, lifestyle-alternative crowd as well. When one endorses the group, it’s unclear which social group ze belongs to, and, moreover, on which grounds they’re praising the act. What lens does this signaler look at the record with, and (one informs the other) what lens should I look at the signaler through? eg: Is ze a poptimist who recognizes a degree of lyrical superficiality to Camera Obscura’s music but is celebrating the band’s melodies and lush sound on its own terms? Or is ze a more casual, less sophisticated rockist listener who sincerely believes the lyrics to contain depths they clearly do not, or else finds the band “authentic” or “honest” in some similarly shoddy critical evaluation? In other words, when one admits to liking Camera Obscura, it’s almost impossible, without elaboration or further discussion, to determine whether said person has discerning taste or not, why they find the band’s music appealing, and therefore which in-group they are a part of. Without a clearly attached social identifier or critical framework employed, Camera Obscura is an incredibly poor signal. This is a problem critics don’t face, for example, in acknowledging the worth of 1989, a case where only the ignorant (ie, the outermost ring, likely not reading reviews to begin with) would mistake a rock critic’s support for the album — written almost entirely behind the scenes by producers Max Martin and Shellback —for an endorsement of its artistic authenticity. Certainly no fellow music critic or insider would make such a mistake, which makes supporting 1989 not some radical or dangerous move by rock publications but, in fact, an incredibly safe statement to make. If or when Let’s Get Out Of This Country is eventually praised, that, I think, will be a far more interesting statement, or at least an indication of changing subcultural boundaries. Garner’s tells me that the preposition “Out” in the album’s title is correctly capitalized since it’s being used adverbially. Appreciation towards Hotel Concierge for helping me set this all up.